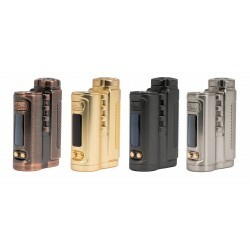 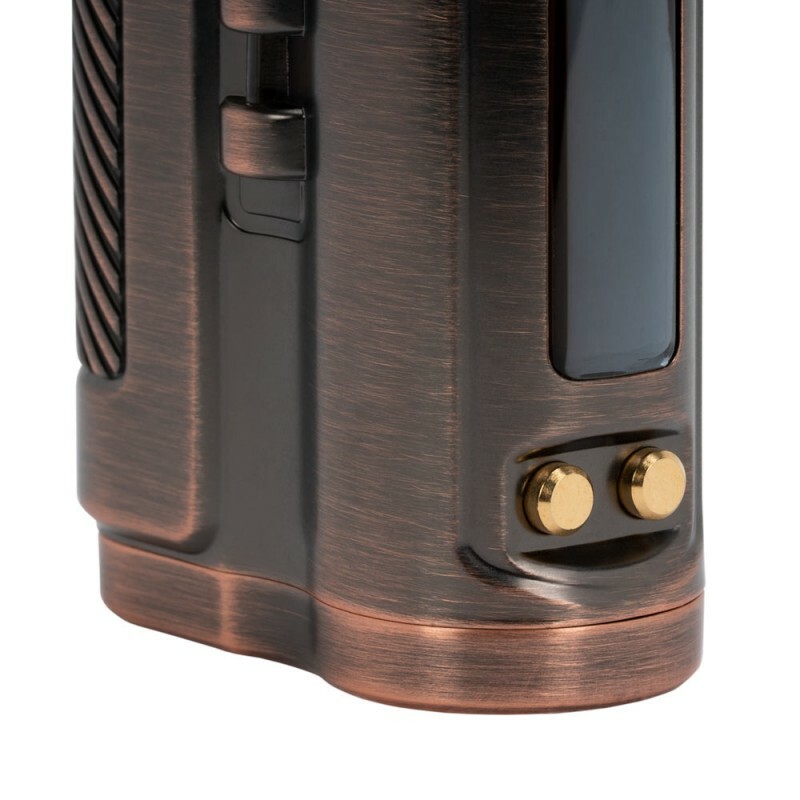 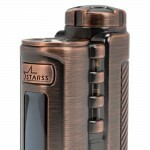 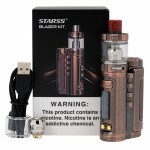 The Blazer Kit is a unique, ergonomic 75W TC Box Mod which features the iron metal style architectural structure and emulates the precision machining and creative designs of Starss Vape. 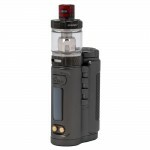 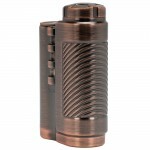 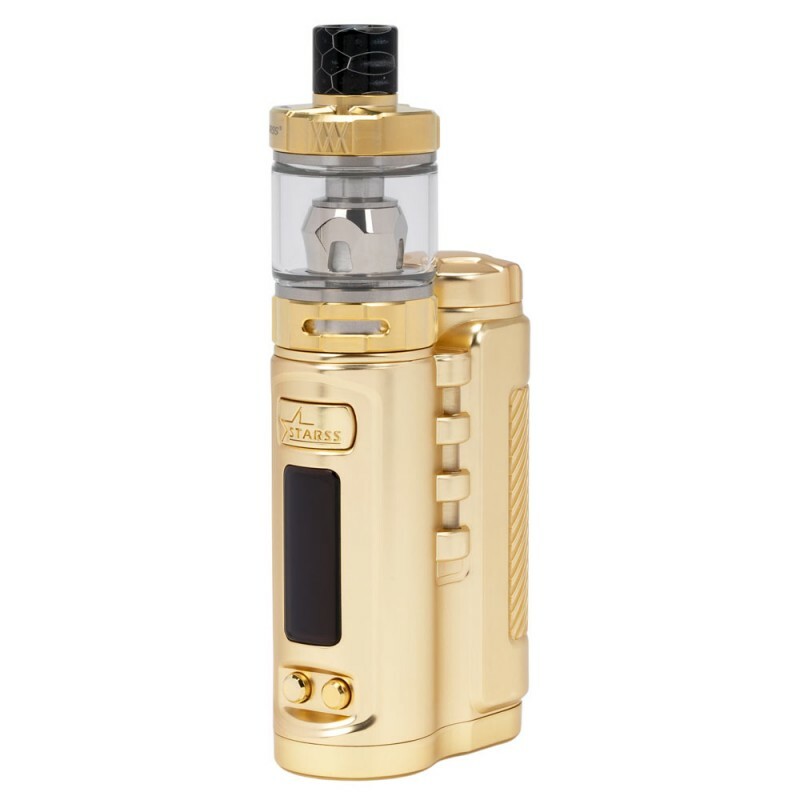 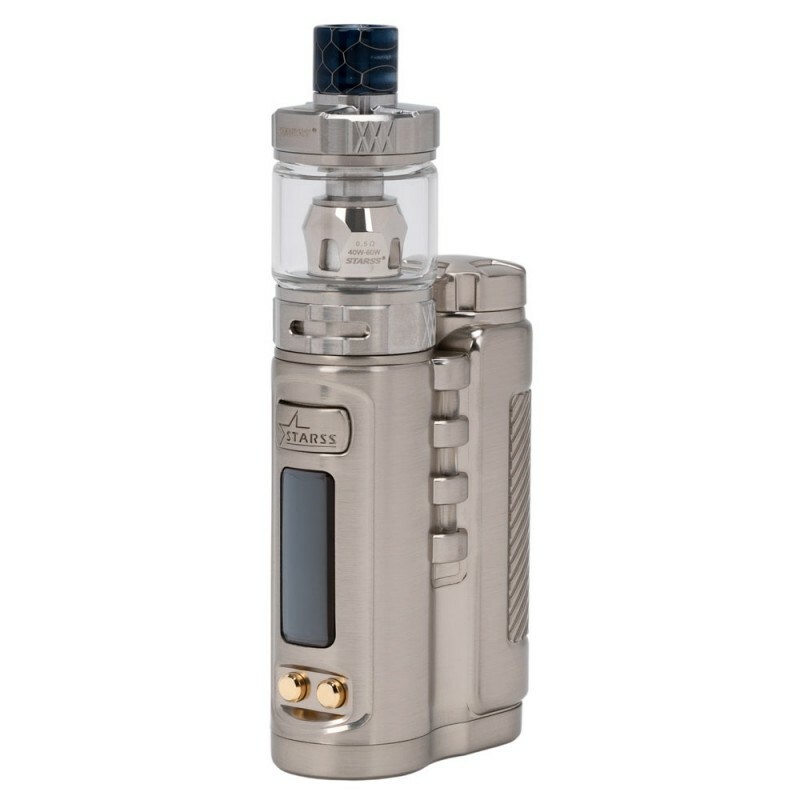 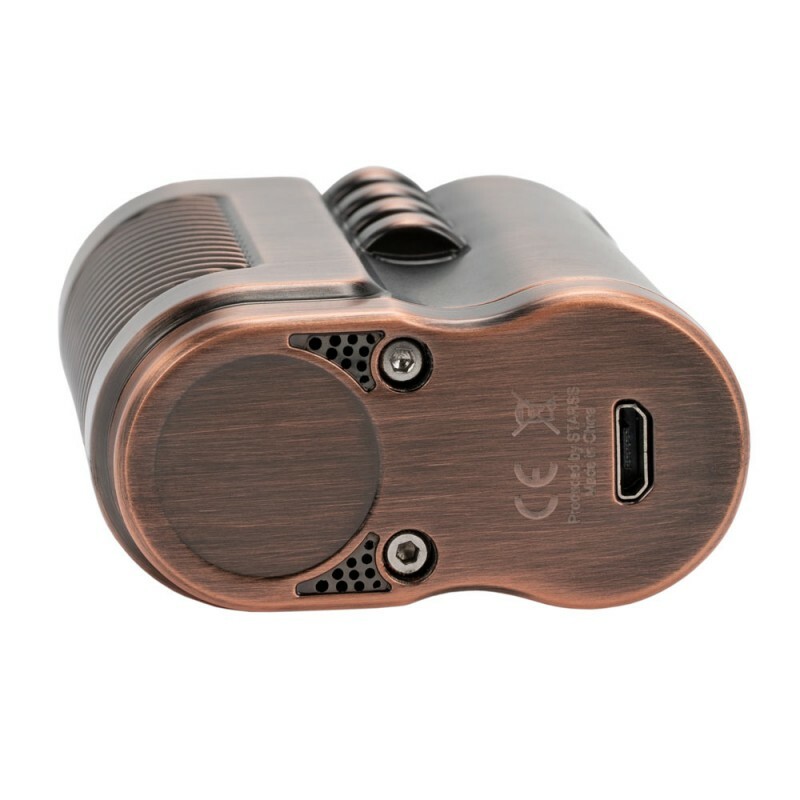 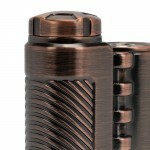 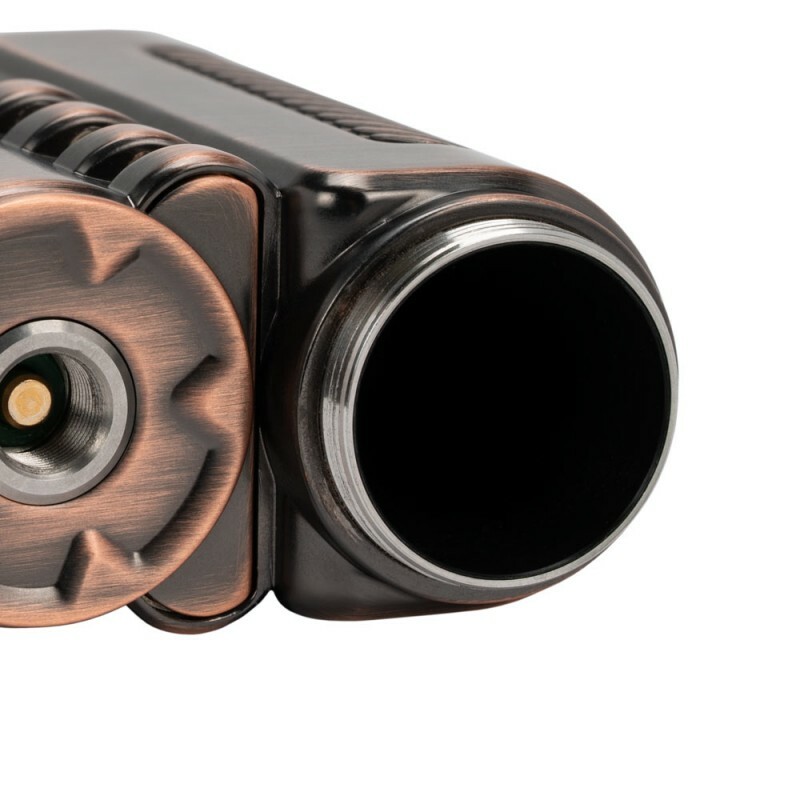 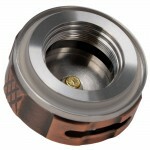 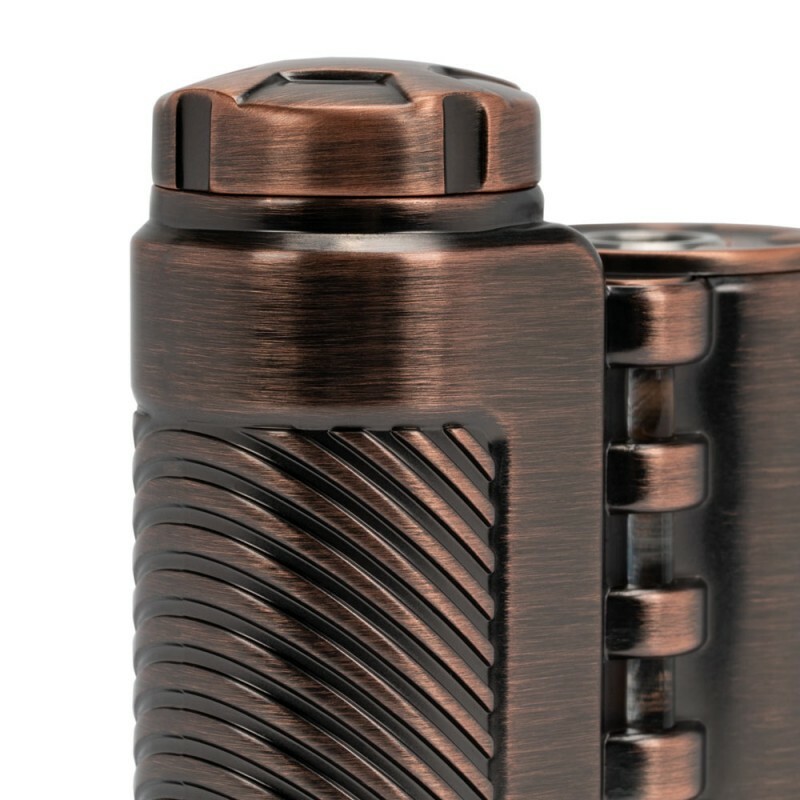 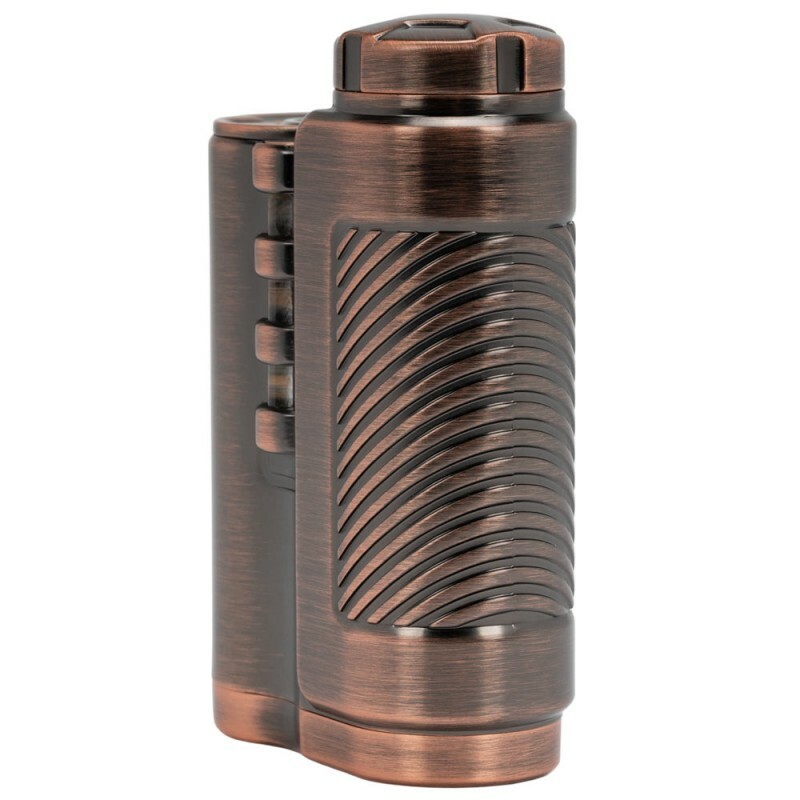 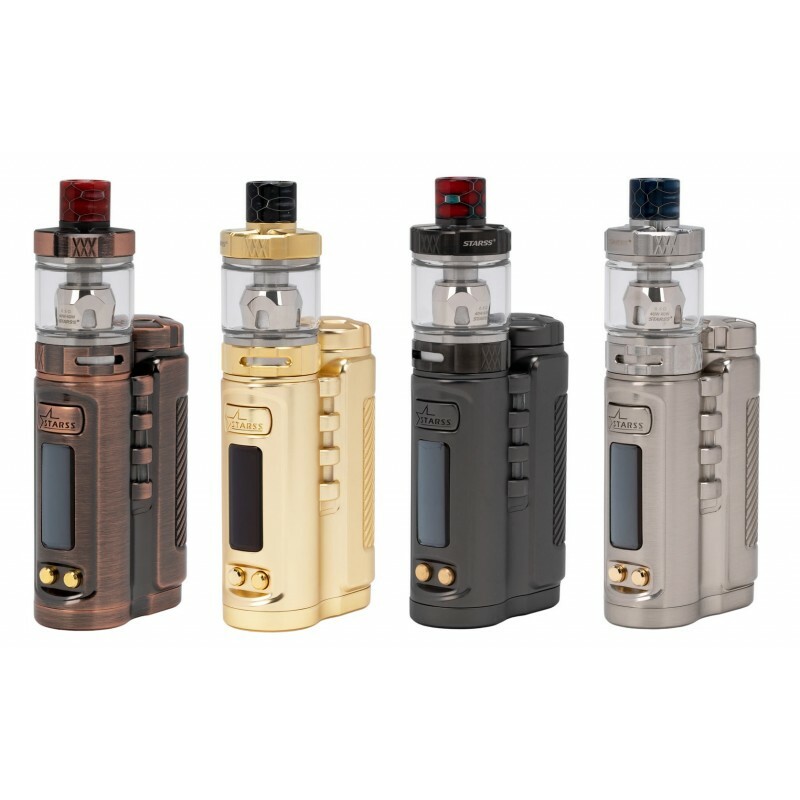 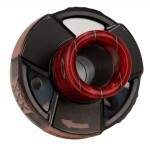 It is clip designed, powered by single 18650 battery, output wattage range from 5-75W. 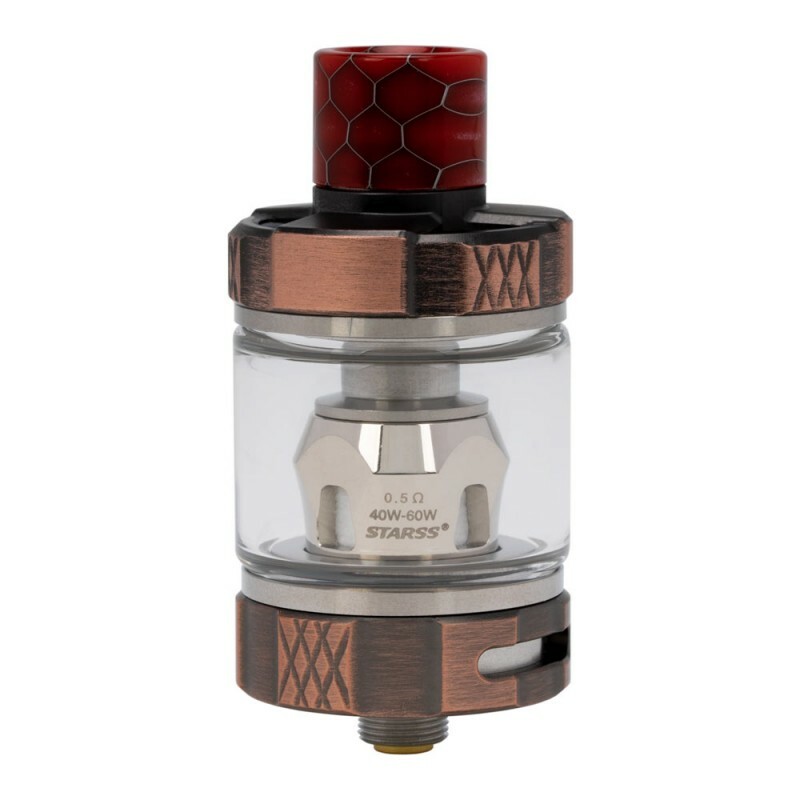 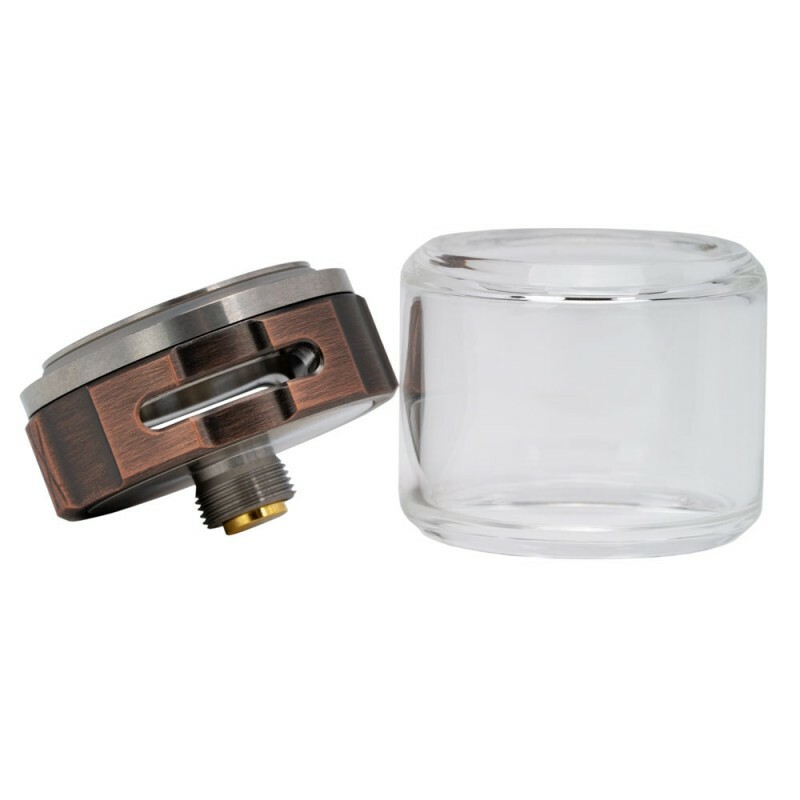 There are 0.25Ω ceramic coil and 0.5Ω ceramic coil for different flavors, plus the 4.5mL refillable tank capacity brings ample space for liquid juice storage, impresses us with airflow hold adjustable. 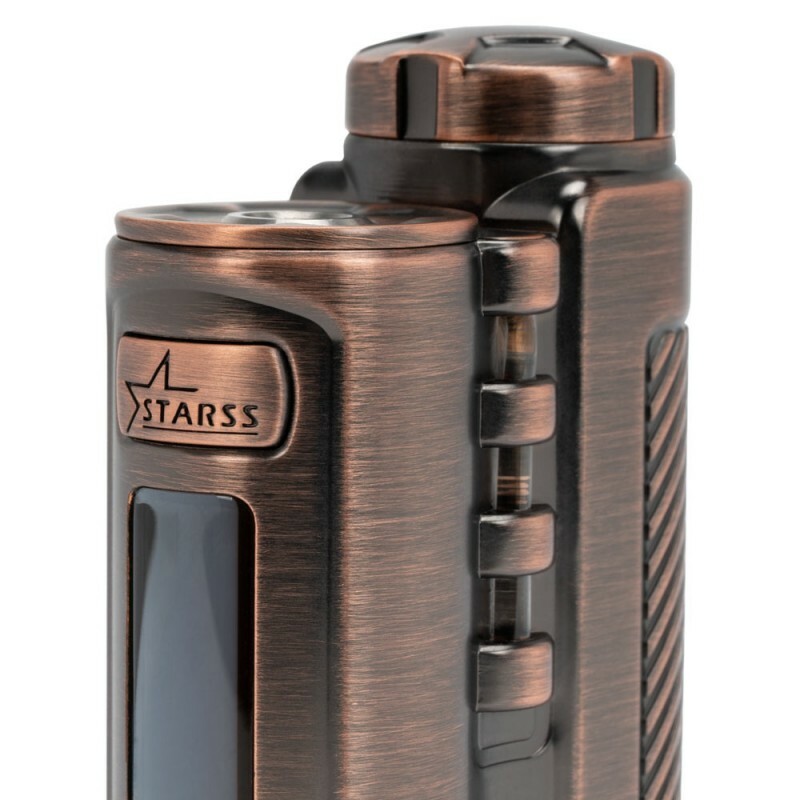 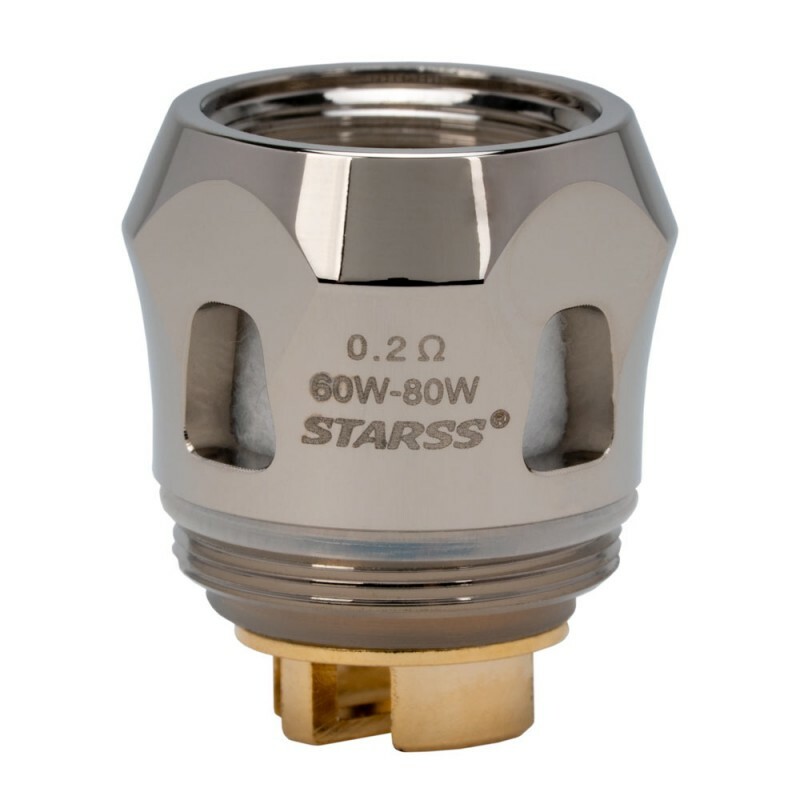 With the Starss Vape own designed 75W chipset microprocessor, so it can provide multiple power functions model and multiple protection which including PCB temperature overheating protection, low power alert, atomizer short-circuit protection, no atomizer and low resistance protection. 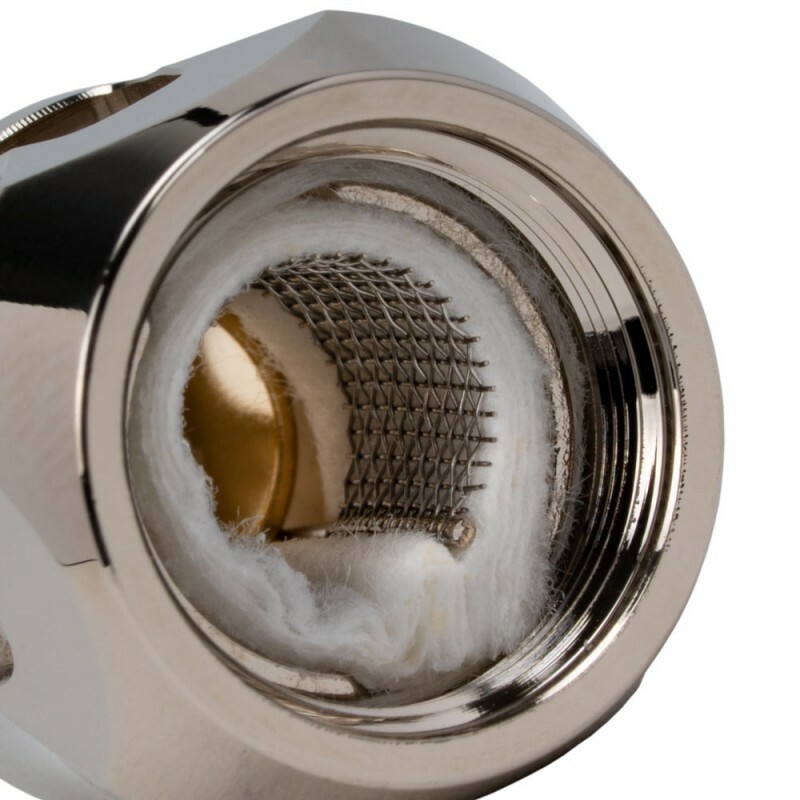 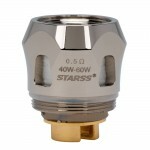 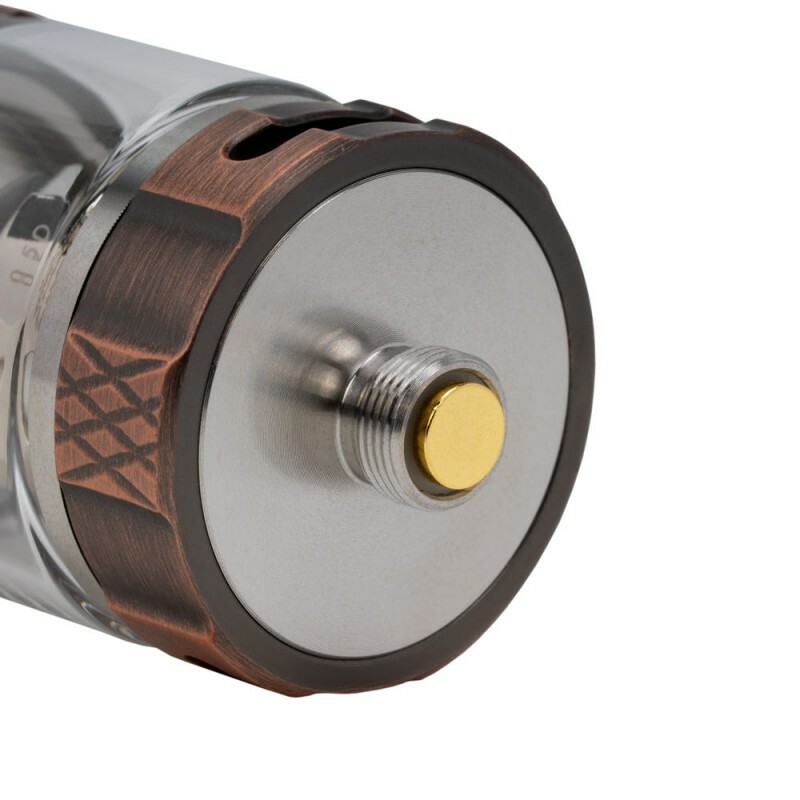 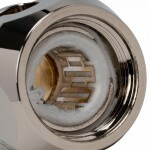 The Starss Vape Blazer Kit is compatible with most of squeeze tank with 510 thread. 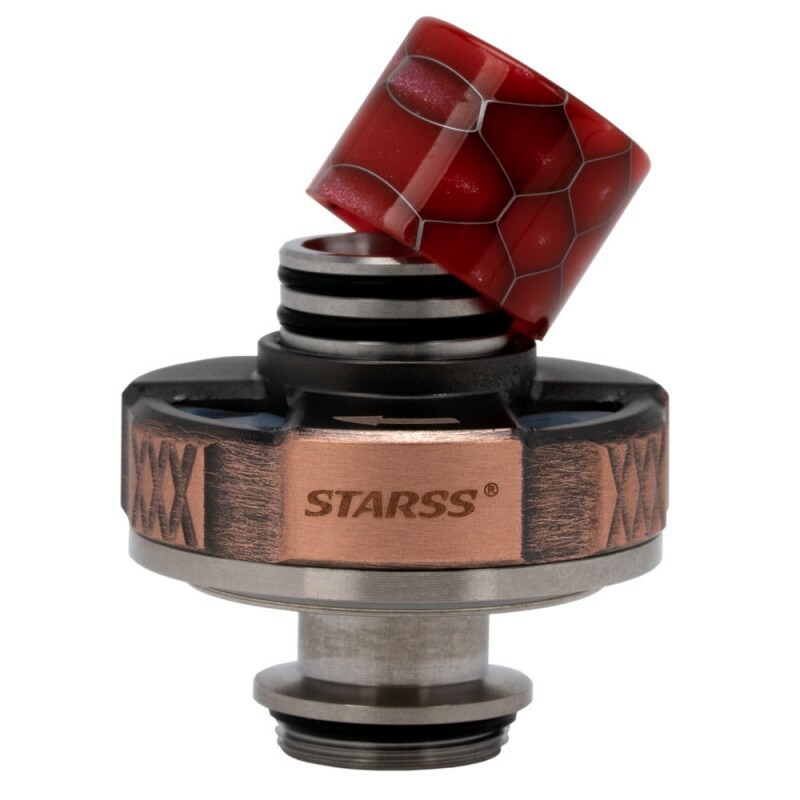 It comes with the up and down buttons can adjust the temperature of heating ceramic coil during operation from 5W to 75W, and also change the LED light color in the middle on the both sides. 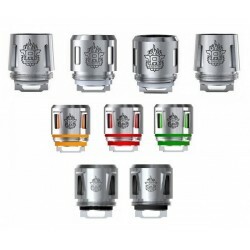 Smok TFV8 Baby Beast 5 Pack CoilsV8 Baby Q2 Core Coilbrings you deep and rich cloud taste0.6 Ohm Dua..